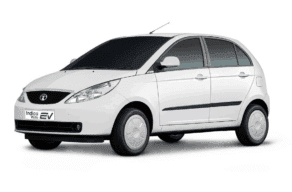 On your arrival at Kochi Airport/Railway station, our representative will be there to receive you. Athirapally is located at a distance of 66 km from Kochi. 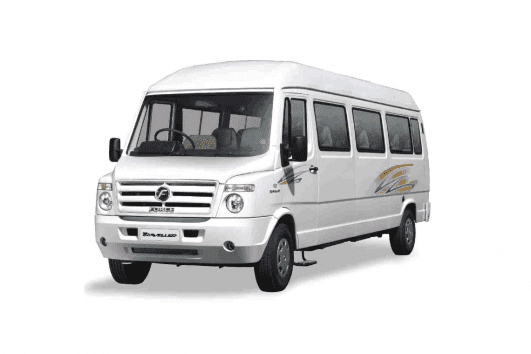 The easiest way to this breathtaking place is through Aluva – Angamaly route by road. Explore the magnificent falls in the Sholayar rainforest. Our first stop will be Athirapally Waterfalls. Athirapally is a beautiful place located in the Thrissur district, famous for its breathtaking waterfalls and enchanting rainforests. This remarkable waterfall has been also named as the Niagara Falls of India. This is one of the largest waterfalls in the state which has a height of 80 feet located at height of 1000ft above the sea level. This is one of the famous shooting locations as well. The famous movies like Ravan, Bahubali etc had pictured the beauty of this waterfall. You can see the fall in its majestic form during monsoons. 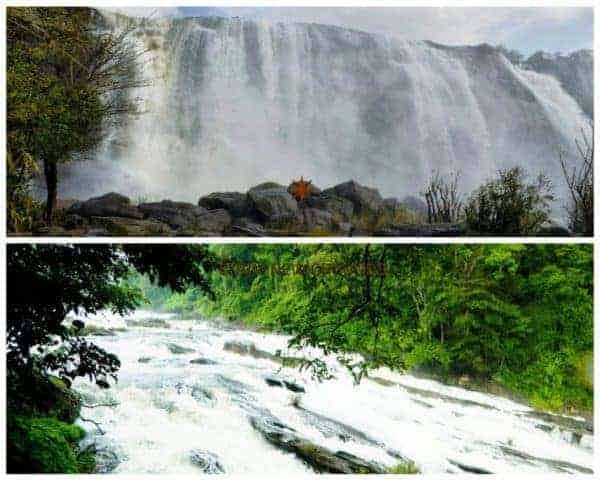 Explore the luxuriance of Athirapally ─ the harmony of nature, embraced by the divine power, graced with the Western Ghats and its opulent biodiversity. You can take a walk through the forest to the top and see the waterfall from there. We can go to the bottom of the falls as well. It’s a delightful sight to see the strength and splendor of falls from there. If you a trekking lover you can have a trip through the sholayar rainforest. It’s worth to take a walk through the misty beauty of the rainforest, watching the flora and fauna. From there we will next move to the Vazhachal falls. On the way between Athirapally waterfalls and Vazhachal, we have another one. Charpa Falls is a lesser known yet a place worth visit. 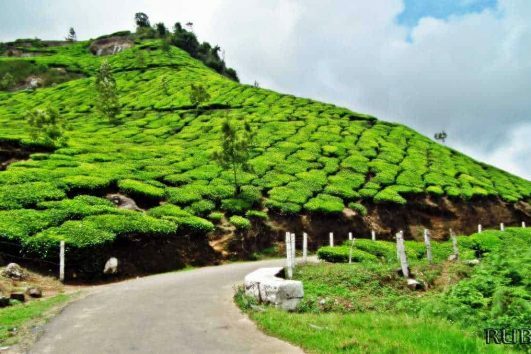 It falls on the highway connecting Tamil Nadu and Kerala. Situated at a distance of 60 kilometers from Thrissur, it’s a worthy watch if you are there during the monsoons. It is adjacent enough to the roads for the water to come heaving onto the road when the state receives torrential rains. The falls don’t arouse awe by its height, but the course of the water surging over the huge rocks in a tempestuous, exhilarating streak, is worth watching. This fall is been part of many movies such as Dil Se, Guru, Iruvar etc. Now we will continue our journey to Vazhachal Waterfalls. The Vazhachal Waterfall is located in the Sholayar ranges in Athirapally. It is five km apart from the Athirapally waterfall and 36 km away from Chalakuddy. The scenic splendor of the waterfall offers an escapade from the stressful city life. Unlike striking Athirapally Waterfalls, the Vazhachal Fall appears more like a faster-paced river. The Vazhachal area is renowned for its upright riparian vegetation in its well – preserved circumstance that has a thousand varieties of living species inhabiting it. 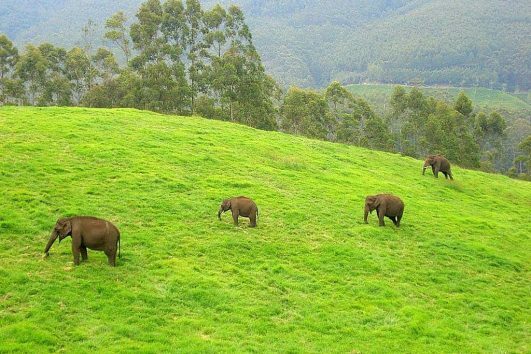 Filling the mind and heart with the beauty and freshness of nature, we will say bye to Sholayar ranges. There are two water theme parks nearby Athirapally, Dreamworld and Silver Storm for who love to have water rides and plays. Next on the list is the new snow park Snow Storm. Snow Storm is the one and only Snow Park in Kerala has been opened at Athirapally, Thrissur District. The Snow Park spread over 10000 sq ft in area and has a minus 10-degree temperature inside. A wide range of rides including Snow Tube Slide, Snow Sledge, Snow Skywalk, Wooden Bridge, Snow Play House, Kids Play Area, DJ Dance Ring, Carousel, Igloo House, Snow Free Slide, Wall Climbing, Snow Cafe, Photo Point (Animated Wolf), Snow Forest, Reindeer with Sledge, Snow Man, Snow Queen are available in the park. The snow park is run by the Silver Storm theme park group. In the evening, passengers can return to Kochi on the same day itself and continue with onward journey according to bookings. Airport and Railway station drop will be arranged by Blue Bird Travels.